Whether you have a large industrial project, small building work or want to recycle your business waste, we offer commercial waste management and recycling services to suit most needs. With skips varying from 12 cu.yd to 35 cu.yd we can provide a reliable, high quality service tailored to your business needs. With an impressive inventory of skips, we aim to provide skips on same or next day delivery. We understand that projects and timescales can sometimes change so we pride ourselves on our ability to provide skips for long and short term projects, being flexible on pickup and delivery of skips to your location. 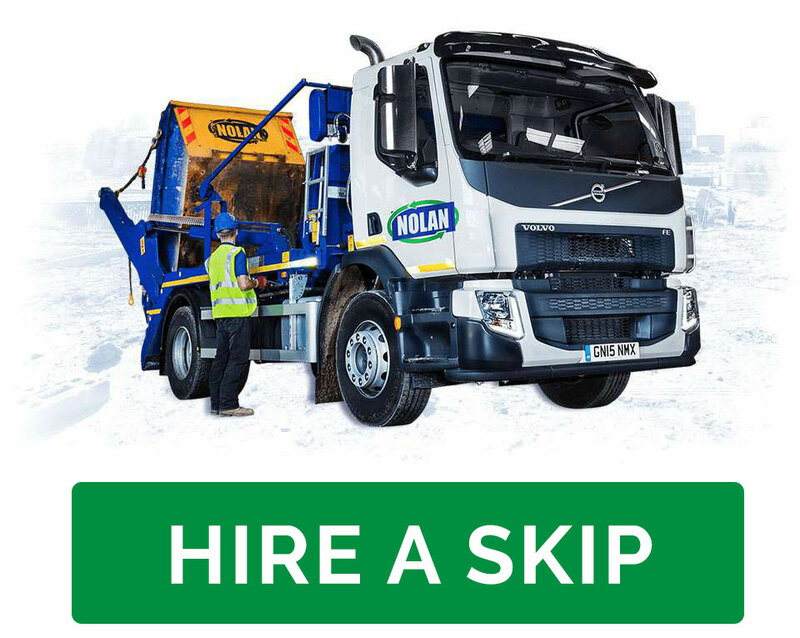 Why Choose Nolan Recycling For Your Commercial Skip Hire Solutions? We offer tailored or one-off services meaning we can provide you with weekly waste collections or arrange for one-off collections as and when you require it. To satisfy most requirements we can offer mixed or segregated skip hire and waste recycling services. We have worked with a large number of businesses including commercial premises, builders and contractors. As well as offering commercial waste collection services we operate a fully licensed weighbridge facility for use by commercial customers. We issue full waste transfer notes to provide a full auditable paper trail and can provide comprehensive reporting detailing waste type and tonnages. We are able to recycle a range of materials including paper and cardboard, plastics, biodegradable waste, glass, tiles and ceramics, inerts/soils and stones, wood, metals and plasterboard amongst others. You will be able to rest assured that your waste has been treated and disposed of in a safe and environmentally considerate manner. Skip hire throughout South wales and service the following areas: Cardiff, Swansea, Bridgend, Port Talbot, Rhondda Cynon Taf and the Vale of Glamorgan.